Having a healthy brain we would all agree is important, one of my passions is looking into truths about foods and vitamins. Everyone has their Achilles heel when it comes to health, but some foods you thought were bad may in fact be good. Look at butter for instance. So-called health experts were touting the evils of it not so long ago, and salt – well that was from the very devil himself or so we were led to believe! When I was growing up it was considered folly to use salt in cooking or sprinkle it on your food. Now we’re told to add it to just about everything – now it’s supposed to be imperative to good cooking, bringing out flavour and sealing in meat juices. In reality if we don’t have salt the body will die, we don’t need a lot, but we definitely do need it. Celtic Sea Salt is better as it hasn’t been adulterated like common table salt. Butter will not give you breast cancer like most margarine and now we are allowed to eat eggs which has every vitamin except for vitamin C.
We’ve even been duped as far as cholesterol and it’s relation to some fats. Doctors are not required to learn about nutrition, so seek a second opinion and consult a naturopath. Don’t readily accept what legal drug pushers advise as one year they will tell you to have a glass a wine with your evening meal every day, the next they’re saying it’s destroying people’s organs and they’re alcoholics. By the way we didn’t hear an apology after they recklessly blasted that all over the media. One of the best brain food is coconut oil and it’s one of the few foods that can truly be classed as a superfood. It contains good cholesterol, something the so-called ‘health experts’ made a mistake when they released the wrong message some years ago, but did’nt correct. 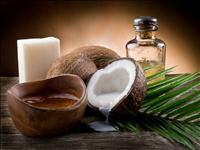 In fact coconut oil helps with serum cholesterol in all areas of the brain and helps with conditions such as autism, Alzheimer’s, serious mental problems such as depression, bipolar and worse. I’m not a health expert, all of this information is common knowledge. I’m not advocating anyone to go off their medication, but to seek a second opinion and to consult a naturopath or dietician, as doctors are not required to learn about nutrition. This video is by a reputable news service in the US. It’s amazing so please watch it or book mark for later. Click Here. The study, published in the journal JAMA Neurology. Click Here. This entry was tagged autism, brain health, coconut oil, cod liver oil, energy, heart health, improved memory, juicing. Bookmark the permalink.